Oooh la laa. Isn’t this brilliant! The muggles are going rampant upon discovering that J.K. Rowling has been secretly writing under the pseudonym Robert Galbraith! Ah, scandal! Ever the more brilliant isn’t it when an invisibility cloak falls off your shoulder and we see what we should be seeing for the first time. Well, “[b]eing Robert Galbraith has been such a liberating experience… It has been wonderful to publish without hype and expectation and pure pleasure to get feedback under a different name” says Rowling in one of her always elegantly eloquent responses. Hence why I’ve been telling the world, since the dawn of the cupboard under the stairs, strip away that billion dollar glittery hype of the wizarding universe and in her writing you will find that of pure literary mettle. So how did we find out? Richard Brooks upon hearing the tale did a little investigation of his own, ending in having two linguistic analysts scrambling after the truth and diving into a comparative analysis of the existing literature of Rowling and this one piece of Galbraith. Both concluded that the styles had similar traits, in the use of punctuation and choice of vocabulary, resulting in a validated match. I wonder what these superficial gits might have said if they knew it was Rowling they were reading. Would their biases and judgments of the perceptions of Harry Potter-like writing affect their reviews? 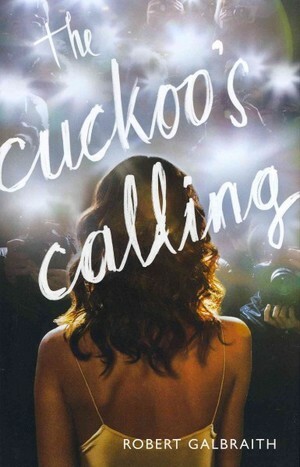 Was Rowling’s ‘A Casual Vacancy’ one such example, the crucified scapegoat of high expectations mandating mixed reviews for the sake of criticism flirting with cynicism? What do you think? Either way, guess I know what I’m ordering next from Amazon after finishing up Book 5 of a Song of Ice and Fire (Game of Thrones). This is like Christmas came freaking 5 months earlier. Click and ship people. Sales for the book since the secret came out of the closet has sky rocketed to 1500% for a best seller that is about to become an even better seller. Now is that magic or just plain cuckoo? Adieu! The Literartist Hits 25,000 Views!